Today on Getting To Know... I have Abigail Osborne, whose debut novel, The Puppet Master, is released today! 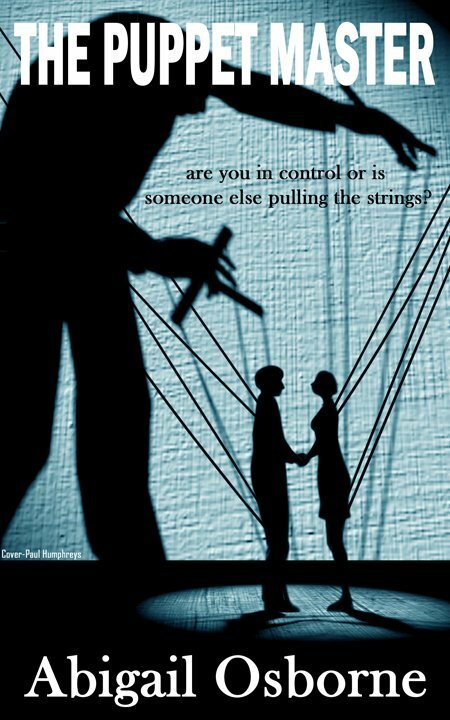 Your debut novel, The Puppet Master, is out today, can you tell me more about it and what was the inspiration behind the story? I like to think that The Puppet Master is a story about how much a person can suffer and still come out the other side. I have been through some terrible times, not as awful as what Billie experiences, but still enough that I could have slid into a very depressive state and isolated myself like she does. I wanted to explore that and encourage people that do suffer to know that it is possible to get your happily ever after. My husband has been the best thing that has ever happened to me and having him in my life has made me a better person. I know it sounds cliché but it is true and it was the undeniable influence in shaping this book. The Puppet Master is a psychological thriller, what is it that draws you to this genre? I love reading thrillers and as much as I wanted this book to be a positive message, I couldn’t resist this genre. I have known quite a few manipulative people in my life (thankfully not anymore) so I was keen to write from this perspective and show how clever and controlling people can be. Billie is the main character of The Puppet Master, is there any of you in her character and if so which bits? Billie does have a lot of me in her. I took inspiration from events that happened to me growing up and rewrote them into her story. I used to be very self-conscious and lacked confidence and it wasn’t until I met my husband that I began to feel confident in myself and who I am. At the start of the book, Billie doesn’t know who she is or what she can be and similarly it takes Adam to show her that there is more to life and more to her. Have you always known that you wanted to be an author? No I haven’t. I have loved reading since I was small and I never thought that writing a book was something that I could do. I have always wanted to but I’ve just never had the confidence or self-belief until recently. I was in a place where I had a lot of free time to wonder what I wanted to do with my life. I started to write a few anecdotes from my childhood and then a year later ‘The Puppet Master’ was written. Now I’ve opened myself up to writing, I just can’t stop. You also have a book review blog, manybooksmanylives, what inspired you to set this up? I had toyed with have a book reviewing blog for many years, I actually had one set up but all my posts were only drafts and I just couldn’t bring myself to publish what I thought. I just didn’t believe anyone would care. But then my husband gave me a push last year and I can’t believe the response that I’ve had to my reviews. It’s partly this reaction that encouraged me to write my book. Ooh – that’s hard. I have quite a few. I read a lot of genres so I have a favourite from all of them. I love Jodi Picoult, Harlan Coben, and Barbara Erskine. But I think I have to choose Sara J Maas. 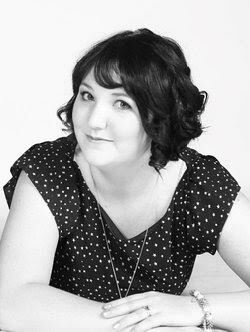 She writes New Adult Fantasy and I absolutely love her writing, she never fails to deliver and her imagination and the worlds she creates are fascinating and addictive. When you're writing do you have a set routine to follow or a place to sit? I actually dragged my husband to Ikea and sat on all the chairs and armchairs in the shop until I found the perfect writing chair. I found it four hours later – narrowly escaping divorce! So I sit in my rocking chair with my laptop but I have to be completely alone, I can’t concentrate if someone else is in the house. When I’m not writing I’m reading. I have around 7 ceiling high bookcases in my house and I nearly ready to order the eighth one. I normally read about 100 books a year. If you could give younger you any advice about your writing journey, what would it be? I would tell my younger self to have some self-confidence and get started earlier. I know The Puppet Master has only just come out, but what can we look forward to from you in the future? Thank you so much to Abigail for taking the time to give such honest and insightful answers, it's been an absolute pleasure. Adam knows exactly who Billie is and is determined to expose her and get justice for the lives she ruined. But first, he needs to convince her to open up to him but as unwanted attraction and feelings blossom between them, Adam is forced to realise that all is not as it seems. Most of their lives have been unknowingly governed by the desires and needs of someone who considers himself their master. He has influenced and shaped them for years, meticulously weaving a web of lies and control around them. Can Billie and Adam survive the betrayals in store and cut the strings that bind them? 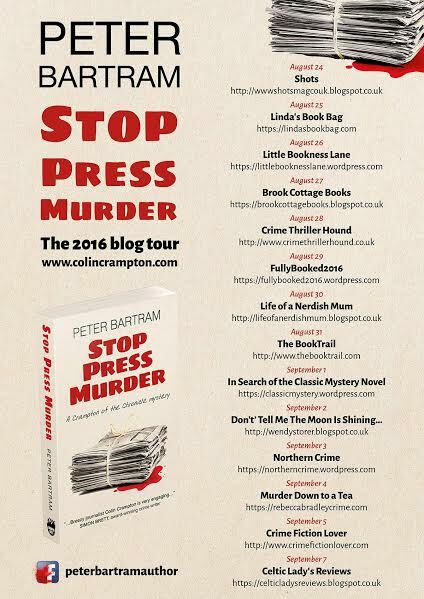 Today is the turn of Life Of A Nerdish Mum on the Stop Press Murder by Peter Bartram blog tour and I'm excited to be bringing both a non spoiler review of the book and an interview with the author! Stop Press Murder is set in the 1960s and throughout the book there are so many touches that really make you feel like you are in that era, the language, the money, the clothes, it's all done so well and it really immerses you in the story. Another well done part of the writing is the use of journalism lingo throughout which gave an authentic feel to Colin as a journalist but wasn't used to the point where a non journalist wouldn't be able to follow a conversation. The story is fast paced and is laced with humour, Colin Crampton is a cheeky chappy with a wicked sense of humour. I found myself laughing along at many places throughout the story. Colin overall is a really great character and I love his relationships with every other character. He knows how to get himself into a scrape and he knows how to get himself out too. The murder mystery has more twists and turns than a roller coaster and is extremely well crafted to keep you guessing right until the end. It was full of memorable characters and interesting bits of information. 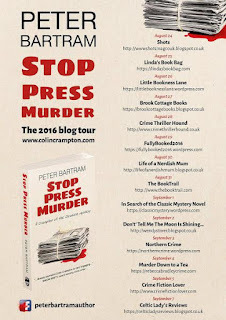 Overall I thoroughly enjoyed Stop Press Murder, I didn't want to put it down as I needed to know what would happen next, one night I stayed up till nearly 2am thinking I'll just read one more chapter. This is a huge recommendation from me. You are a journalist and have written many non-fiction books before starting the Crampton of the Chronicle crime series. Did you always know that you wanted to write crime fiction eventually or was it a more organic process? I've always wanted to write a crime series but, until recently, never had the time. Even in my early days as a freelance journalist, I started to write a crime mystery. It was about a serial killer who was knocking off his victims in ways that imitated the deaths of heroines in Puccini's operas. I was going to call it The Puccini Murders. But then paying commissions for articles and books came along and The Puccini Murders never got past the first couple of chapters. 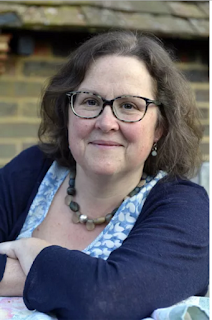 But a couple of years ago, I decided I simply had to make time to write crime fiction - so I stopped writing non-fiction books and cut back on my journalism. The Crampton of the Chronicle series - with four books so far - is the result. As you are a journalist, is Colin based on yourself or does he have any of your personality traits? I think Colin is an amalgam of character traits from a number of journalists I've known over the years. Like a lot of real-life journalists - including myself - Colin has a passion for justice, in its broadest sense. At the same time, he'll stoop to any low trick to get his story. So he's a cross between an angel and a devil! Like lots of journalists I've known he has a great sense of humour - and that comes out in the way he approaches his life. Where do you draw inspiration from for your books? Quite a lot of inspiration comes from my career as a journalist. I started life as a reporter in the 1960s, so I know first-hand what newspaper newsrooms were like in those far-off days. I've used incidents from my own career in my books. Indeed, the lead story (The Mystery of the African Charity) in Murder from the Newsdesk (my book of short stories available free on kindle) is based on an unsolved case I handled as a young reporter. As the books you wrote before the Crampton of the Chronicle series were non-fiction, does it take a completely different mind-set to now write fiction or do you go about it in a similar way? Yes it does require a different approach. Curiously, I've found that writing fiction requires much more planning than writing non-fiction. When I say planning, I don't mean research. Research for some of my non-fiction books, especially the biographies, has often taken months. But planning is different - it's about how the book is going to be structured. For a non-fiction book, I've usually done that in chapters. Sometimes, I've planned a non-fiction book in a couple of hours. But planning the Crampton series of intricate crime plots takes a lot more time. I plan each book in scenes. In the book I'm currently writing there are 73 scenes. In each scene, I define what's going to happen but I don't always work out how it will happen - I often leave that until I write the scene. So planning the fiction is the big writing difference. Stop Press Murder is the second Crampton mystery - do you have more mysteries planned for the future? Yes. Stop Press Murder is the second full-length novel. There is also a novella - Murder in Capital Letters - which anyone can download for free from my website at www.colincrampton.com - and the short stories I mentioned earlier. I'm currently writing the third full-length novel - Front Page Murder - due out in 2017. And if I get time, there will be more novellas! The Crampton of the Chronicle series is set in the 1960s, is there a reason why you chose that particular decade? It's the decade when I started my career in journalism. And what a thrilling decade it was. No wonder it's known as the Swinging Sixties. It was a time of massive change - in fashions, in music, in attitudes, in social reform. It was also the decade when evening newspapers reached the peak of their circulations and influence - before television and, later, social media began to nimble away at both. As Colin works for an evening newspaper, I thought it would be good for him to do so when those papers were at their height. Also news-gathering in those days - without computers, the internet or mobile phones - was a more challenging task, which makes for some interesting plot opportunities. Do you have a set routine for writing or a favourite place to sit and write? Yes. From Monday to Friday, I work from 9.00am to midday. Then I take two hours for a light lunch and a long brisk walk. We live 100 yards from the beach, so I'll sometimes walk along by the sea. I'm back in my office by 2.00pm and generally work through to around 6.00pm. I'll usually do some work over the weekend, even if it's just reading background material. I work from an office in my home. If the weather is good in the summer, I may work in the summer house in our garden. What is your favourite part about being an author? I think it's probably having what I think is a really good idea which I can then use in a book or an article. As a freelance writer, you're really selling ideas - writing words is just the delivery medium. But I also enjoy writing a passage I'm especially pleased with. (Although Samuel Johnson warned about excessive hubris in this respect.) And I don't deny it's great to get feedback from readers who've enjoyed the books. I do, in fact, spend a considerable amount of time writing - either books, or newspaper and magazine articles. But when not doing that, my wife Jackie and I enjoy travelling both in this country and abroad. You'll usually find both of us with a good book to read. Do you have a favourite author or authors? My interest in crime fiction was first stimulated when I was 14 and found a copy of The Memoirs of Sherlock Holmes in a second-hand bookshop. In the 1970s, I read lots of crime novels and thrillers - especially Victor Canning, Desmond Bagley and Alistair MacLean. Current authors I greatly admire include Peter Lovesey and Simon Brett. (I feel very honoured that they've both provided generous cover quotes for Crampton books.) And I'm a big fan of Alan Bradley's Flavia de Luce crime mysteries and Janet Evanovich's Stephanie Plum books. Thank you so much to Peter for the opportunity to read his wonderful book and for taking the time to answer all my questions! 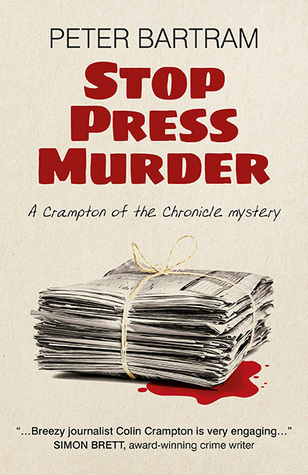 Stop Press Murder is the second full length novel featuring Colin Crampton but this can definitely be read as a stand alone or as your first step into the world of Colin Crampton. Today on Getting To Know... I am very lucky to have Tracey Sinclair, author of the Cassandra Bick Chronicles. You're currently writing your Cassandra Bick Chronicles series and have most recently published the third instalment Angel Falls, will there be more books in the future? Yes, definitely – I’m currently working on the next one. The Cassandra Bick Chronicles are supernatural and contain vampires etc. Do you believe any such creatures exist or have existed in the past or do you believe they have developed from folklore and misunderstandings? While part of me would like to believe in supernatural beings, I think it’s far more likely that they stem from folklore, superstition and a misunderstanding of certain phenomena that we’ve now explained through science – plus of course the fact that human beings have always loved fantastical stories. If you could be a supernatural being, what would you choose to be? I’d be a vampire as long as I didn’t have to kill anyone! I’m a vegetarian…! You have previously written a collection of short stories, No Love Is This, as well as two collections of Dark Dates stories, do you have a preference over writing a novel or a short story? I think they both have their strengths and their difficulties, and I like both – not every idea can be, or should be, stretched into a novel, and some of the most beautiful things I’ve ever read have been short stories. I also think they’re quite discrete skills – not all novelists can write good short stories, and vice versa. In the Dark Dates world, writing short stories gives me an opportunity to explore different viewpoints and characters outside the main narrative arc, which has turned out to be enormous fun. If The Cassandra Bick Chronicles became a TV show, who would you like cast as Cassandra? Ooh, people ask me that and I’m always stumped. I think Kat Dennings or Lizzie Kaplan would manage the snark, but I’m not sure they could do the British accent! I love all my Dark Dates crew, honestly. They are so much fun to write. When you're writing, do you have a set routine that you follow or a certain place to sit and write? In terms of routine, for the longer pieces I start by doing short sketches of scenes to get a sense of character, and play with ideas. Then I do a first draft – and sometimes a second – in longhand (I get through a lot of notebooks!) and usually do a third or even fourth draft before I send it out to my beta readers and then do another couple of polishes before it is done. I don’t have certain writing places – anywhere is good. I am weirdly fussy about notebooks and pens, though. Yes. I’ve always written stories, and always loved it. In terms of authors I admire, it’s an enormous list, but in terms of authors I feel genuine affection for, no one can beat Terry Pratchett. I cried when he died! Thank you so much to Tracey for taking the time to answer my questions! 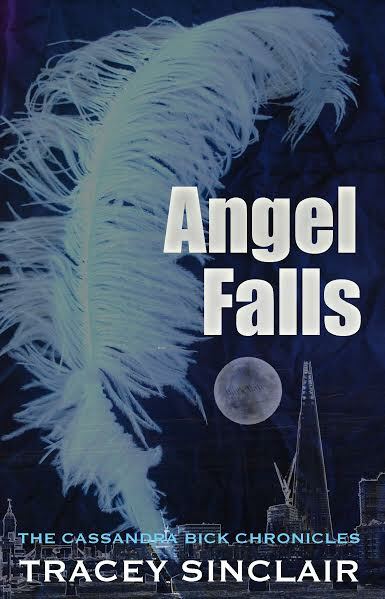 To pick up a copy of Angel Falls click here. I received a copy of Beetlebrow direct from the author Ben Parker in exchange for an honest review. Beetlebrow follows the story of two young girls, Beetlebrow and Pook, on a journey to deliver a message from one king to another to save their people. We start out with Beetlebrow and learning about her home life with her mum and two brothers which is terrible. It really sets the scene and you can feel the impoverishment of the town and of Beetlebrow's family. Her brothers are both just horrible human beings, but her mother does everything she can for the family. Without any spoilers, circumstances occur and Beetlebrow decides to leave and she goes to find Pook whom she had met in the market previously and had hit it off with and the story progresses from there. The book is well written, though there are a few minor things that have been missed in editing. I felt the world building was very strong and I could quite easily picture each town and place that is visited throughout the story. There is one part where they are crossing a desert and I really became immersed and I could feel the heat and dryness of it and just how awful it would have been. Beetlebrow's character was also well developed and the decisions she made, made sense from what we knew about her life, especially as we also get to see more of her brothers personalities. Her relationship with her mother was really nice and I liked that we got to see more of it at points throughout the book. Pook however I felt that I never really got to know her as much and she seemed a bit one dimensional and she slept or was tired an awful lot throughout the story. I also felt that the description "her slim body" was overused for both her and Beetlebrow. The relationship between Beetlebrow and Pook isn't just a friendship, they become partners too as their love for each other becomes stronger. One of my favourite scenes in the book is when Beetlebrow is trying to tell Pook how she feels about her and she's explaining that when she saw girls talking to their friends she'd want to talk to her friends like that if she had any, but with Pook she feels that these things just aren't enough and she wants to say so much more. This to me is one of the best descriptions of how you feel when you love someone, everything just is so much more special with that person than with everyone else. I would definitely have preferred this book to be longer so that the journey felt a lot more epic. I feel a lot of scenes could have done with more time focusing on them so you got a real feel of the danger etc of what was happening at the time. But the story definitely does not feel rushed, this would just be my preference. 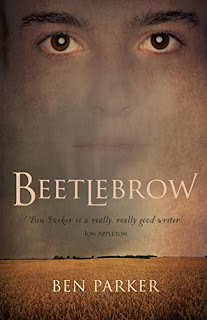 Also I am hoping that there is a book following Beetlebrow as I would like to find out what happened following the decisions made at the end of the story. Overall though a really great book and one I thoroughly enjoyed reading. I am definitely hoping for a second book so I can continue following Beetlebrow's adventures. Today on Getting To Know... I bring you Noelle Holten, creator of and book reviewer on the blog, Crime Book Junkie. You created the fabulous blog, Crime Book Junkie, what inspired you to start it? Wow! Thanks for the compliment! I was guest reviewer for the awesome Katherine Everett (Best Crime Books and More) after coming across her blog via the equally awesome Victoria Wilkinson of I Love Reading. After a few months, Kat suggested I go solo and with a lot of awesome support and encouragement....I did! I love crime fiction, #AllThingsCrime and so wanted my blog to focus on this specifically. I cannot believe how wonderful this last 12 months has been! Have you always loved crime fiction or is it something you've discovered along your reading journey? I have also had an interest in crime/mysteries and suspense from a very young age. I loved Nancy Drew & The Hardy Boys and was always into solving crimes in television programmes. I started reading horror books (which I still love) and True Crime (another one I still love) at the age of 12 or so (secretly or my parents would have killed me). From that, I moved on to crime fiction and have never looked back. I do read other genres (occasionally) but these are few and far between. I have SEVERAL favourite authors (and will probably miss some out by accident) but totally adore: Graham Smith, Mike Craven, Col Bury, Stephen King, Mel Sherratt, Mel Comley, Martina Cole, Caroline Mitchell, Paul Grzegorzek, Stephen Edger, Howard Linskey, Mark Billigham, Angie Marsons, AJ Waines, Michael J Malone, Douglas Skelton, Emma L Clapperton, Alan Jones....the list is endless. There are so many amazing crime authors out there and I adore their books for a variety of different reasons. Do you have a special spot where you love to curl up and read? I love reading outside in the sunshine, but over here in the UK -- well that is not always possible. I don't have a favourite spot- other than curled up on the couch with my big, chocolate labrador- Buster. I will read anywhere and everywhere! At the moment, my bookshelves are in complete chaos and I have books everywhere! But I have one book shelp for text books relating to criminal justice; I have one that is dedicated to my TBR pile (pretty full which is why they have over-flowed on to my dining room table) and I have two others which are full of books I have loved/read or which I have picked up out of interest but may not be crime-related. I really need to sort them all out! A really difficult question - e-books, paperbacks or hardbacks? Not hard at all-- if it is a book --no matter what format -- I will love it! I read all three! My kindle is great for holidays or commutes but nothing beats a real book. Paperbacks are lighter, so if I had to carry one around, that would be a preference. But hardbacks are great for reading in bed! During the day you are a Senior Probation Officer, can you tell us anything about the kind of thing you do? I manage two teams of Probation Officers/Probation Service Officers across two police stations. I am part of the Integrated Offender Management team. We manage the most chaotic and prolific offenders in the community. We also manage individuals who have substance misuse issues (drugs or alcohol) within our Substance Misuse team. I work jointly with the Police and Treatment to ensure public protection and reducing re-offending is monitored and actioned. We write reports for courts, manage individuals both in the community and custody and look at strategies on how to ensure the public is protected when risk escalates. That is it, in a nutshell! Have you been lucky enough to meet any authors? EEEEEEEEK!! I sure have. I have just returned from Harrogate and met so many of my author idols. I have also been fortunate enough to attend book signings, launches and events where I have met some amazing authors. They have been so incredibly lovely and supportive of bloggers -- it has been amazing! Will we ever see a crime novel that's been written by you? If you were a fictional character and suffered a crime, which fictional detective would you want on the case? I would totally want DI Harry Evans on the case. He is one of Graham Smith's characters and a copper you just hate to love. He is old school in a modern world and does whatever it takes to get the case solved. I have no doubt he would make sure that whoever killed me (as he works the murder team, so any other crime may not fall to his team) would be brought to justice....whatever means necessary! To check out Noelle's blog Crime Book Junkie click here! 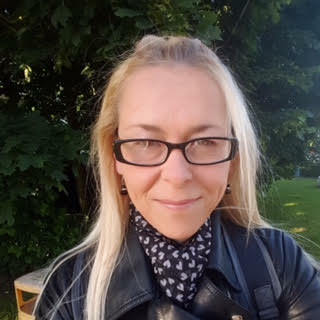 Today I am excited to bring my Getting To Know... with Jo Hollywood, author of An Unextraordinary Life a paranormal romance. 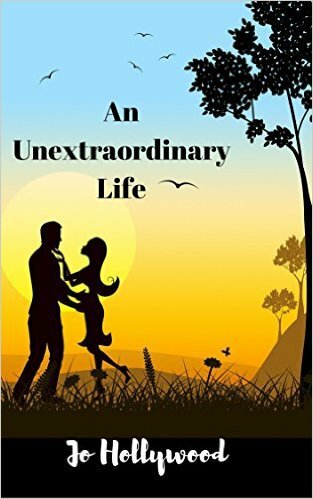 You've recently released your first novel, An Unextraordinary Life, what was the inspiration behind the story? That's a difficult question to answer as I feel that many books, movies and life experiences have all inspired me in some way. It has been a story that has been bubbling away for many years, and one that I just had to write. An Unextraordinary Life is a paranormal romance story, have you ever had your own paranormal experience? Great question! My maternal grandfather died when I was a little girl. Several weeks after his death, I was in the house where he had lived, and where my grandmother still lived. I walked into the the kitchen and I could smell fresh tobacco smoke, he used to smoke roll ups. It was as if he was in the room. Later on that night, when I was in bed. I saw him sat at the end of my bed. He didn't say anything, but just seeing him gave me great comfort. Not really, I love writing and have always scribbled stories. I studied English Literature at University, and was offered an M.A. In Creative Writing but I turned it down as I needed to do something completely different. I ended up training as a nurse. Do you have a favourite place to sit and write or a certain routine that you follow? I literally sit and write anywhere, but usually my laptop sits on the dining room table surrounded by Lego and Minecraft figures. I sometimes write in the local coffee shops in town. As for routine, I usually write once the children are in bed. I spend my days working from home as a freelance copywriter. It fits in with looking after my two boys. My youngest son is autistic, so I need to be at home. So when I am not writing I am usually cleaning the house or shopping. Or drinking coffee and reading books. As a writer of romance, what would be your ideal romantic date? My ideal romantic date? That would have to be a dinner date with my husband, anywhere outside of the house. We very rarely escape together. I love Jack, the ghost who is in An Unextraordinary Life, he is very special to me. Oh I have so many, but if I had to narrow it down, it would have to be Audrey Niffenegger, Dani Atkins, Amanda Prowse and Jo Nesbo. 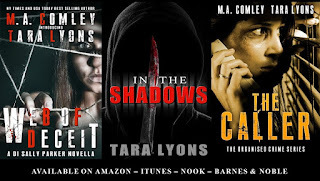 New authors I have recently found include S E Lynes and Carys Bray. Little Women also holds a special place in my heart. I always wanted to be Jo. Putting pen to paper, that release of ideas and the satisfaction that you have managed to tell a story. I love that the characters magically come to life; that I breathe life into then. That's what is really exciting. I also love the fact that writing for me is very cathartic. I know you're currently writing your second novel, can you tell us anything about it? I am currently writing a contemporary romance novel that revolves around a young mum of a child with autism. The story shares how she finds love again, but ultimately how she learns to trust again after a troubled past. When Tess unexpectedly bumps into Jack one cold day in March, her world is quite literally turned upside down. Can she make a new life for herself with Jack, based on how happy they were in the past? Or does she need to make a new start and find love in the arms of her new work colleague, Rob? The path of true love never does run smoothly. Meet Tess, a woman who is still in love with her husband, who died five years ago. Meet Jack, the ghost, who wants to make Tess happy again. Finally there's Rob who wants to win Tess's heart. Today I am really happy to bring you Tara Lyons on Getting To Know... author of In The Shadows and co-author of The Caller. 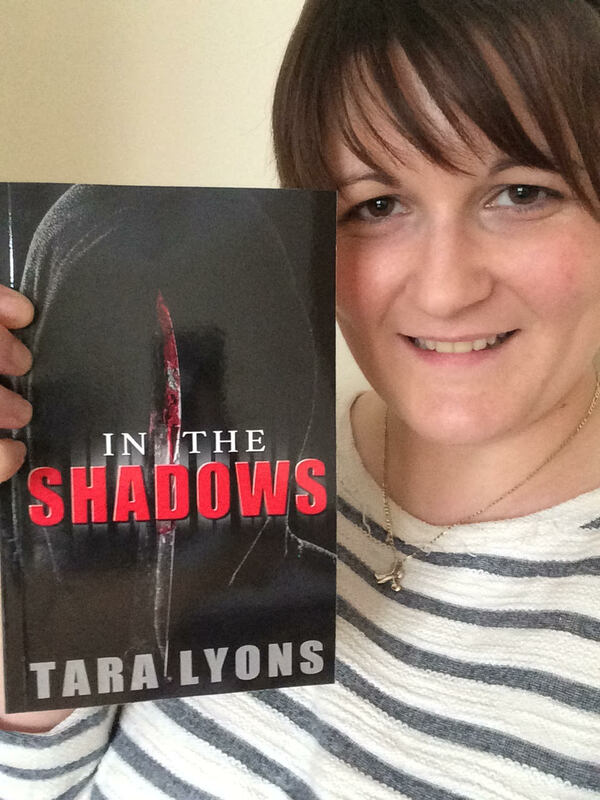 Your solo debut novel, In The Shadows, is a crime novel; have you always wanted to write crime fiction?What draws you to it? I've always wanted to write, that's for sure, but I didn't know it was going to be crime fiction. The story of In The Shadows was brewing in my mind for some time and it just developed that way. Although it's not that surprising really because I love to read crime/thriller fiction and watch a multitude of crime TV programmes. Is there a lot of research that goes into the police procedure side of your writing? If there is, do you enjoy it? Not so much for In The Shadows because it's more of a crime/thriller novel than police procedural, but yes I did have to research things and check some facts. The Caller is very police procedural and needed quite a bit of research - but I love that side of things. I've always had a passion for learning, understanding new things and talking to experts in their fields. I find it fascinating. You've just co-authored The Caller with M.A. Comley, which is the first in a new crime series. 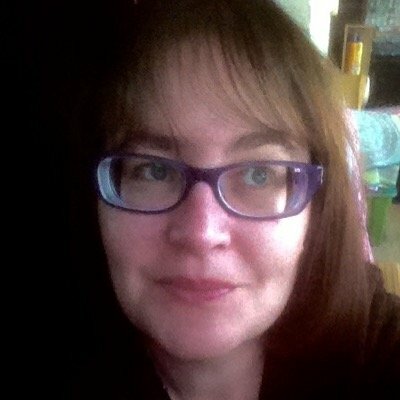 What is it like working with another author? How do you make your writing styles and ideas fit together? I've loved working with Mel (M.A. Comley) because she is such an inspirational indie author. While our ideas and tastes are similar, we did find some differences in our styles. Communication is the key, and that worked well for Mel and I - we were honest and constructive while working on The Caller. We also devoted a lot of time to editing the book so it felt like a seamless read. 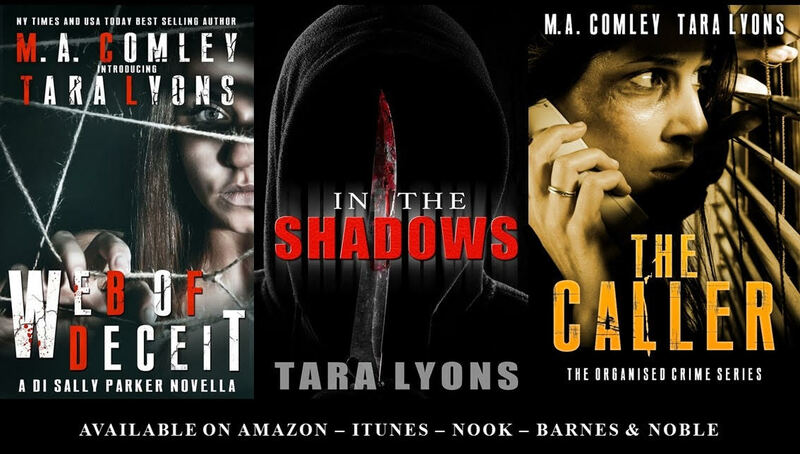 Both In The Shadows and your new crime series have strong detective characters. Do you have a favourite detective from film/tv/books or history? I'm a huge fan of DI Jack Frost (A Touch of Frost) and Jessica Fletcher (Murder She Wrote) - I think I have my Grandad to thank for that as we used to watch them religiously when I was younger - but they've always stuck in my head as brilliant characters. If I come across a re-run on TV now I have to watch them. In terms of books - I'm a huge fan of DI Lorne Simpkins in M.A. Comley's Justice series, DI Kim Stone by Angela Marsons and DI Damen Brook by Steven Dunne. If The Organised Crime Team Series became a TV show, who would you like to see playing DI Angie North? Ooh, good question... I love people to make their own mind up about how they visualise a character... but, since watching Line of Duty, I think I would love to see Angie played by someone like Vicky McClure, feisty but fair - we'd just have to dye her hair! When you're writing do you have a favourite place to sit or a certain routine that you follow? When a reader gets in touch with me to say they enjoyed my book... it really doesn't get better than that. I completely understand you can't please everyone and that you are going to have people read your book and not connect with it - or sadly, completely hate it. But to then read a review or have an email/tweet/Facebook message from someone to say they really understood the character or loved where the story took them... well, that's what makes me want to sit at my computer for hours at a time. Looking after my three year-old son - so probably in the park, the local swimming pool or cinema or even stuck in the ball pit at a wacky warehouse. I'm in awe of the amount of energy he has and wish I could keep up! I have notes galore and so many projects I've started that all seem to the simmering and vying for my attention. Some reviews have suggested they'd like to see DI Denis Hamilton return so at the moment I think I want to continue down that route. However, as I just said I read a lot of genres, so understand that readers want different things from books at different stages in their lives... so there could be more from me in terms of that, watch this space. Thank you so much to Tara for joining me and answering my questions! I'll certainly be looking forward to any new works in the future! With all the excitement of my new feature, I just realised that I hadn't done a review post for mine and F's most recent buddy read which we finished at the end of July, Artemis Fowl by Eoin Colfer, We've moved onto our next read and we've gone back to the classics, choosing The Count Of Monte Cristo and I have to say since starting reading it, so many people have got in touch with me to say that it is their favourite book! Following on from reading Iced (see my review here) we weren't sure if reading another book aimed at younger people was a good idea, but we went ahead anyway. 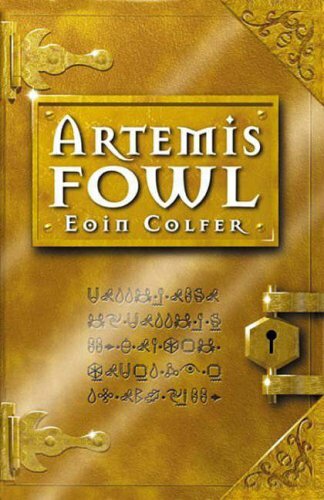 Artemis Fowl is I believe somewhere between middle grade (children's) and YA as a genre and I feel sadly that it's one I should have read when I was younger as it just didn't work for me and I love a lot of YA and middle grade books. I think my nearly eight year old will love it, so I will definitely pass it on to her when she's finished her current reads. Apart from Butler, I really didn't particularly like any of the characters. Artemis was ok, but he just didn't feel like a fully formed character yet to me. Me and F discussed the possibility in the next books that they age like in Harry Potter and so the characters may become more formed and the story as a whole may become more "grown up" as the series goes along - If this does happen please do let me know! The story itself is very well written and cleverly plotted, I just didn't engage as much as I would have liked. I am personally not a fan of fairies having technology as well as magic. To me it takes away some of the "magic" of it all. It was however very clever and I think I would have really enjoyed it when I was younger. Overall it was an ok book and I will probably pick up the next book in the future or read with my Nerdling just to see where the story goes from here. We started this book on the 18th of July 2016 and finished it on the 29th of July 2016. 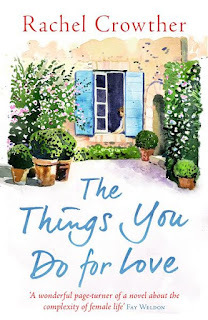 Today I am very excited to bring a guest post from Rachel Crowther, author of The Things You Do For Love as part of the blog tour. So without further ado I'll hand over to Rachel! What Would I Tell My Daughter About Life And Motherhood? toddlers with severe asthma in A&E. other people, I was doing it at the expense of that experience for myself and my daughter. for tripping me up twice over. even so, I couldn’t help feeling that my relationship with her had been tainted. down into a new, almost serene equilibrium after she was born. their lives as normal, whatever they are. any of us say to our daughters to help them negotiate the big wide world? identifying what they admire and aspire to, and what they would want to do differently. about the dangers of their world, perhaps, or emphasised the moral values of their society. womanhood and motherhood as powerful, creative, life-affirming forces. rest of it, in the hope that they will transform not just their own lives, but ours too. 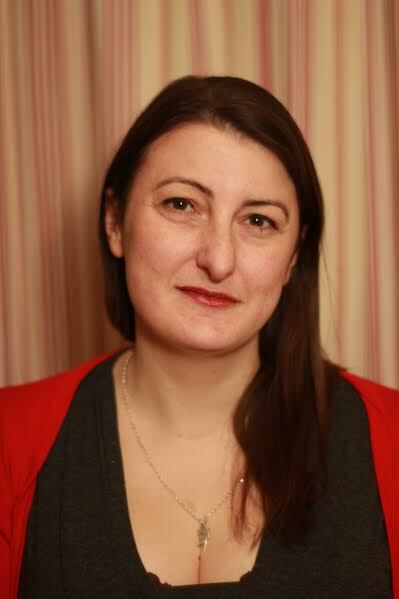 Rachel Crowther is a doctor who worked for the NHS for 20 years and the mother of five children. She dabbled in creative writing between babies and medical exams, until an Arvon course prompted her to take it more seriously. She’s also a keen musician and cook. The Things You Do For Love is her second novel. Retired and widowed in the space of a few months, Flora is left untethered. In a moment of madness, she realises there's nothing to stop her running away to France. But back home her two daughters - the family she's always loved, but never had the time to nurture - are struggling. Lou is balancing pregnancy with a crumbling relationship, while her younger sister, Kitty, begins to realise she may have to choose between love and her growing passion for music.